In total 7 links were found which refer to Clock-repair-warrington.co.uk. Individual words like Repair and Advice are frequently used in text links from other websites. 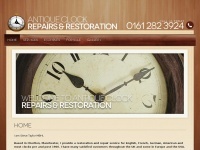 The most important link sources for this website are Barometerrestoration.co.uk and Clock-repair-manchester.co.uk. 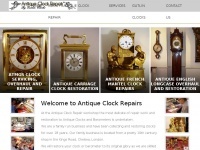 The homepage of Clock-repair-warrington.co.uk and the subsite /index.htm are most referenced by other websites. 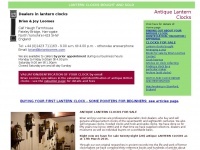 The table shows the most important links to Clock-repair-warrington.co.uk. The table is sorted in descending order by importance. 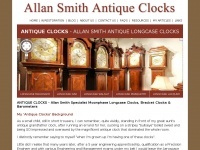 The table shows websites of Clock-repair-warrington.co.uk, which are often linked by other websites and therefore they are classified as important content. 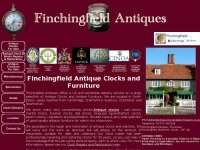 Antiqueclocksnorthwest.co.uk - An­ti­que Clock Re­pairs Ches­hi­re, Po­cket Watch Ser­vi­ce ..